Directly connected drives eliminate the need for power supply. With this feature, the compressor achieves the highest air flow and energy efficiency in its class. 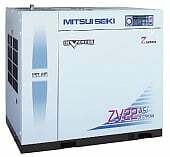 Unbelievable price on Air Compressor, ZV Series in Puchong (Malaysia) company Grandco Engineering, Sdn Bhd.